Liverpool Street. In 1246, on the site now occupied by the station, a priory was erected (later to become the Bethlehem Hospital) which stood here until 1676 when it was removed to London Wall. In 1829 the street was widened and named in honour of Lord Liverpool, who was Prime Minister from 1812-1827. 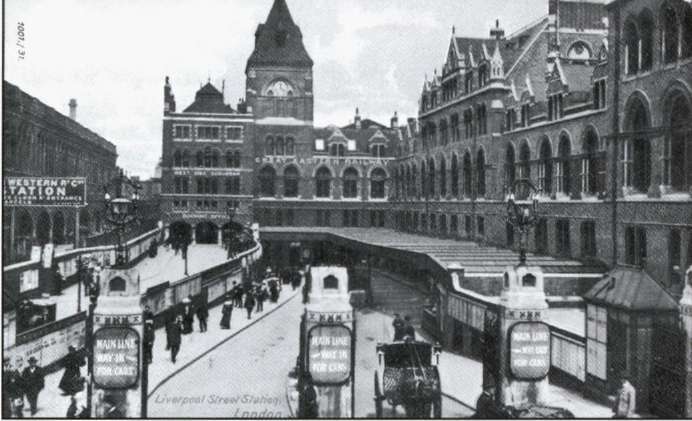 The whole area was cleared after 1864 for the building and opening for local traffic of the Liverpool Street main-line station of the Great Eastern Railway in 1874. Metropolitan Line trains ran into it between 1 February and July 1875. The Metropolitan Railway station was opened as BISHOPSGATE on 12 July 1875 and re-named LIVERPOOL STREET on 1 November 1909. 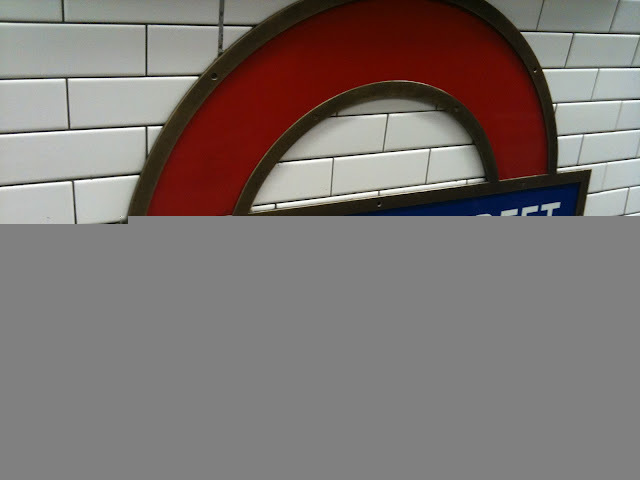 The Central Line reached Liverpool Street on 28 July 1912. This was how Liverpool Street terminus of the Great Eastern Railway looked in about 1912 when the Central London Railway tube was opening its own deep level terminus. To the left is the North London Railway's Broad Street terminus.